Whenever someone asks me to mention one of the most accessible, universal themes in tango lyrics, the first thing that comes to mind is love. However, I also tend to add that the lyrics are much more focused on either the feelings that we associate with heartbreak or melancholic longing, than love itself. These strong feelings can be expressed in grotesque, resentful ways, or, in contrast, the message may also be remorseful and full of nostalgia. But sometimes, those little anecdotes about love are ambiguous: the ”woman” might represent the country of origin of an immigrant, or whatever sentimental longing each of us will feel at a certain point in our lives. 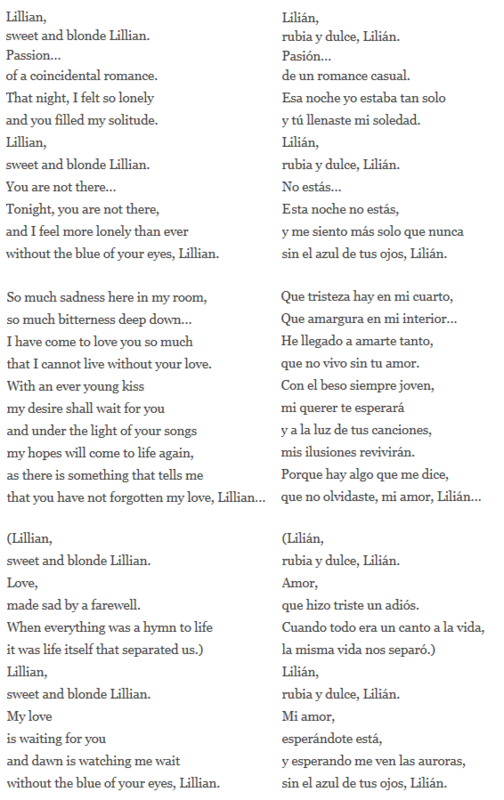 Lilián is, in my opinion, mostly a metaphor and we will all interpret the poem differently. However, I’d say everyone will recognize the profound solitude that is being expressed in the song. In any case, this definitely one of my favourite tangos about loneliness and it would be hard not to feel sad after listening to it. 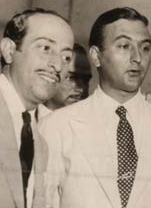 The universal motif – oh, then it may be useful to mention that this standard has been set by Mi Noche Triste in the 1910s, but that originally tango lyrics glorified the tough guys of the ‘hood and the easy women, yet those texts weren’t considered fit for theater stage or recording studio. And so for decades after that, the tangos people liked to dance to remained strictly instrumental … the lyrics may have existed, and he dancers must have known the letras and loved them, but these words just weren’t appropriate for the dance halls. Cara Sucia, La Payanca etc.